October 18th, North Carolina Governor Roy Cooper, issued an Executive Order that will allow men into women's restrooms, locker rooms, and showers. The order perpetuates all the same problems originally associated with sexual orientation/gender identity (SOGI) ordinances that HB 2 sought to address, at least within the parts of state government that the Governor has control. House Bill 2 was the much-maligned legislation which overturned Charlotte's bathroom bill, an ordinance which would have deprived women and children the right to privacy in restrooms and locker rooms and forced business owners to embrace practices inconsistent with their deeply held beliefs. After relentless pressures from powerful business interests, a leftist media, celebrities, gay rights activists, and other progressives, state lawmakers repealed the measure in March. The repeal was not straight-up but touted as a compromise. Governor Cooper's Executive Order is a betrayal of the compromise he struck with state lawmakers, and arguably in violation of HB 142 the repeal legislation that was called a reset. Below is my statement regarding Governor Roy Cooper's Executive Order No. 24. Wednesday, October 18th, Governor Roy Cooper issued an Executive Order that essentially resurrects the Charlotte ordinance and allows men into women's restrooms, locker rooms, and showers. The Order applies to any multiple occupancy bathrooms, locker rooms or showers owned by the state or any local government entity, government offices, and public schools. What is more, the Order requires that any private contractors or subcontractors doing business with the state must adopt a nondiscrimination policy including "sexual orientation" and "gender identity," which presents a serious problem for people who wish to live and work according to their own peacefully held beliefs. The Governor's action is a gross and flagrant betrayal of the compromise struck in HB 142 that took our state back to the status quo before HB 2. The Executive Order is immoral and a gross overreach and abuse of government power. We've witnessed Cooper's dereliction of duty to the people of North Carolina in the past. As Attorney General, the most critical constitutional officer in the state, he compromised his impartiality and ability to vigorously defend North Carolina's marriage amendment with disparaging remarks about it, and then he refused to defend it when he should have. During his campaign for governor, Cooper was touted as the man to return North Carolina to its Southern-styled moderation. He admonished that divisive social issues should be put away. But this action clearly marks him as a genuine hell-bent leftist ideologue determined to bring every part of the state into conformity with a radical progressive worldview. 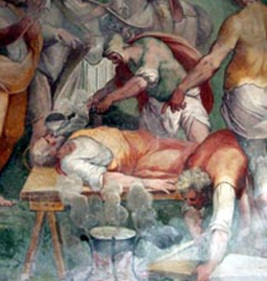 Tradition tells us the early martyrs for the Christian faith were laid down and their persecutors poured filthy water down their throats in such immense quantities that they were killed, and although they loathed the lewd liquid, their oppressors poured on and on and on and on. So Cooper and his ilk will do, cramming us with their mire, constraining us to yield to what is both unreasonable and unnatural, until a pervasively Christian culture is as good as dead. North Carolina had better wake up to what's happening. This is not a civil rights issue. If we start basing laws on subjective feelings and not something scientifically demonstrable and verifiable, our cultural institutions will ultimately drift away from truth and spin uncontrollably into chaos. I pray that our state's governor and every individual who has aided and abetted in this crime against God and the citizens of North Carolina will find grace and mercy. Moreover, I pray as earnestly that a just God in heaven will deliver our state and nation from the likes of Gov. Roy Cooper and his cohorts. 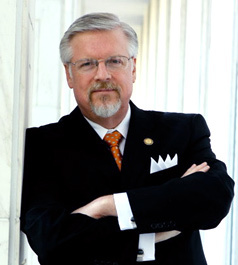 Dr. Mark Creech is executive director of the Raleigh-based Christian Action League of North Carolina, Inc.